All my work is handbuilt and one-of-a-kind. Handbuilding permits me to enter into a physical, spiritual, emotional relationship with my clay. Yes, the clay and I do speak to each other. 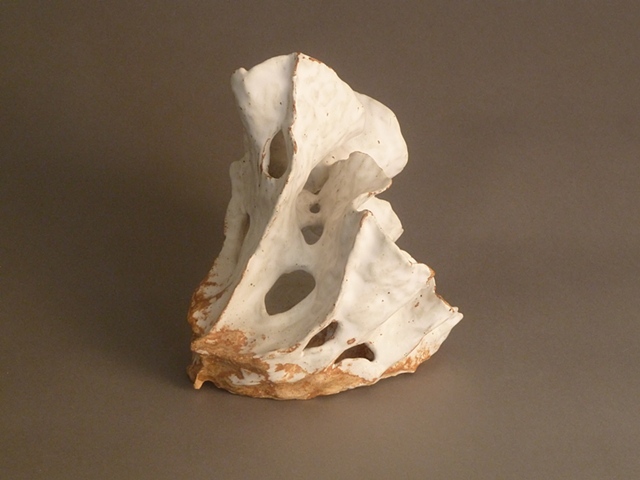 My work is based on organic forms found on the earth, in the sea, and under a microscope. I am fascinated by the universality of these forms, whether plants, fungi, sea corals, shells, fossils, or one celled organisms. Respecting the fact that Nature has already perfected these structures, I do not attempt to represent them literally. They are the starting point for various interpretations.